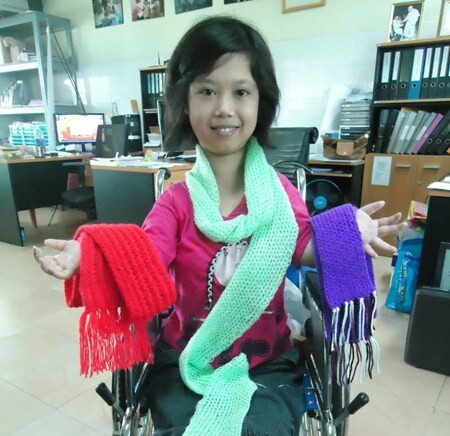 The Camillian Home for Children Living with Disabilities in Latkrabang has launched their first ever online store, “A Little Something Shop”, selling handicrafts and accessories made by the children and daycare families. Purchases can be made by visiting the website: http://www.camillianhomelatkrabang.org/a-little-something-shop/ and emailing [email protected] with the orders. Established in 2009 by Father Giovanni Contarin, Camillian Home is a registered non-profit children’s charity providing care and treatment for children living with disabilities and serious illness. Situated in Latkrabang, Camillian Home is one of the few facilities in Thailand dedicated to caring for these abandoned children in a family atmosphere, and it aims to serve as a model in caring for vulnerable children with special needs.